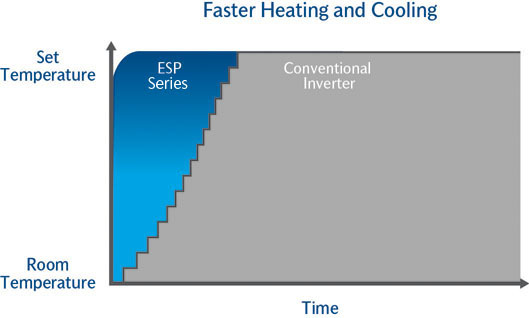 ESP® Ultima ducted reverse cycling air conditioning range uses advanced zoning to deliver individual zone control. Ideal for those who appreciate high levels of comfort coupled with low running costs. Save up to 60% on running costs versus conventional fixed speed technology. Fully integrated ducted air conditioner with zoning system that varies airflow to a minimum zone. 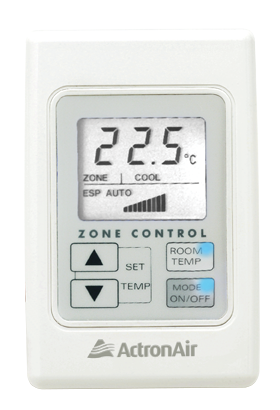 Advanced zoning capability to deliver different temperatures in up to 8 zones all at the same time. 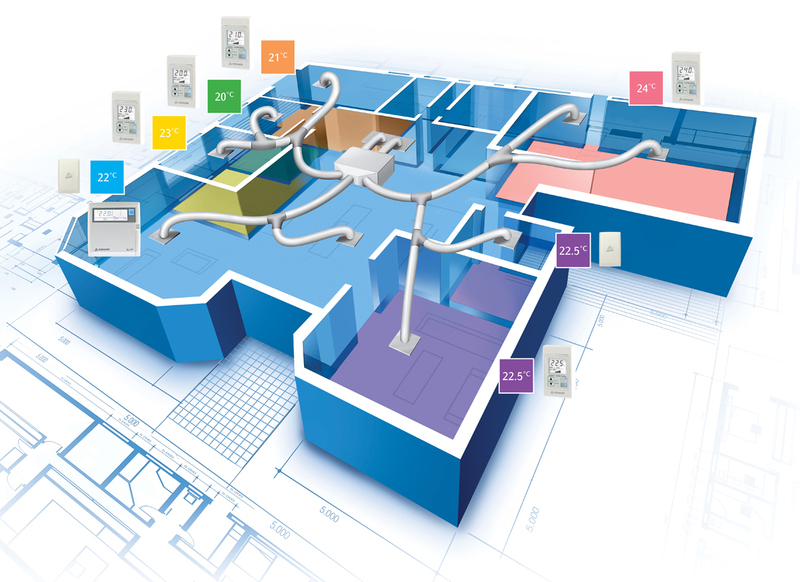 Energy Smart Zoning feature – with minimal zone operation to save energy. 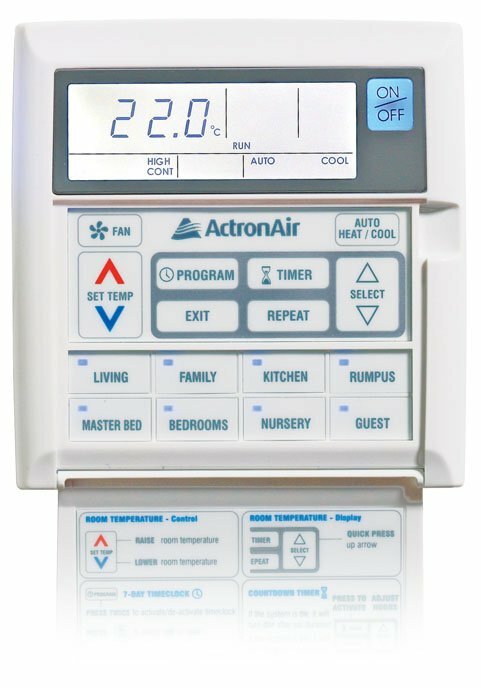 ActronAir understands the requirements of the harsh Australian climate, and that’s why all its systems are engineered to survive extreme conditions. 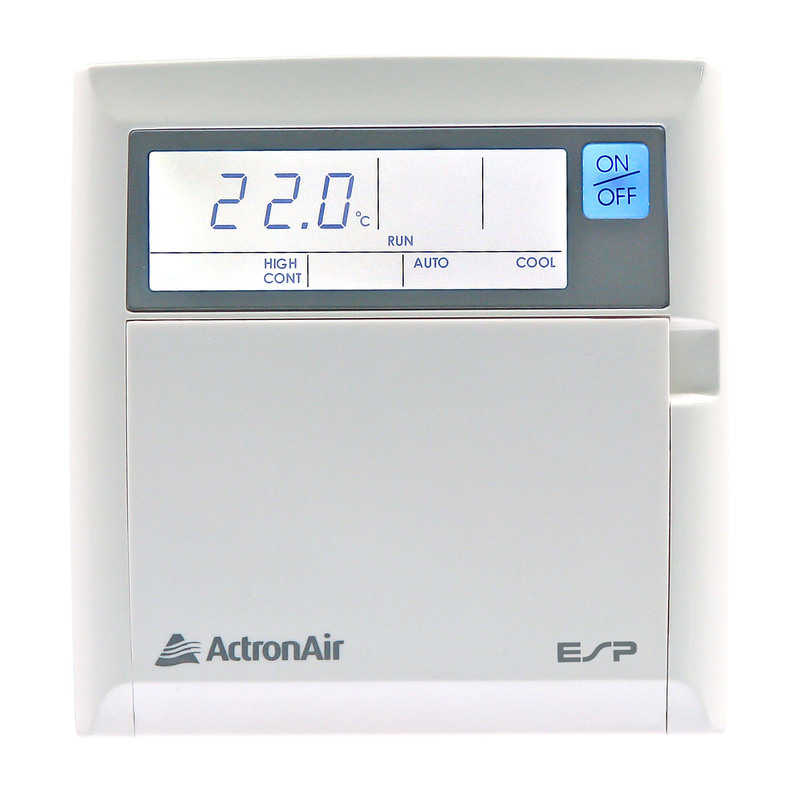 Energy Smart Zoning incorporates Variable Fan Technology to automatically adjust airflow. Large temperature fluctuations are minimised with superior temperature stability of ±0.3°C at the sensor location. 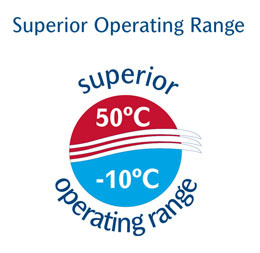 Most systems are only designed to a maximum operating range of 43-46°C, and have inbuilt safety mechanisms that reduce output in extreme conditions. 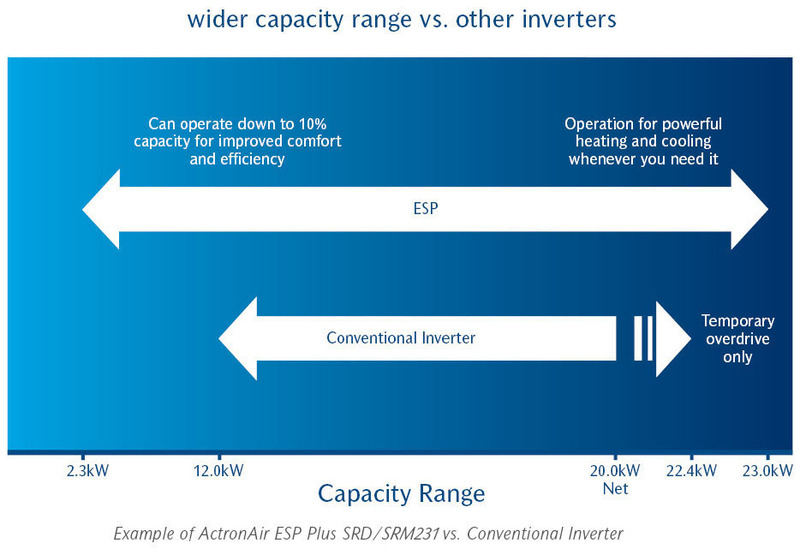 Reaches maximum capacity almost instantly up to 10 times faster than conventional inverter technology. Providing you with different temperatures in different rooms all at the same time. 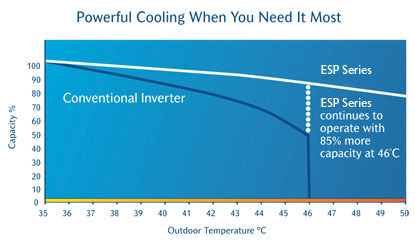 The factory preset span of ± 4°C can be increased if the application requires it. 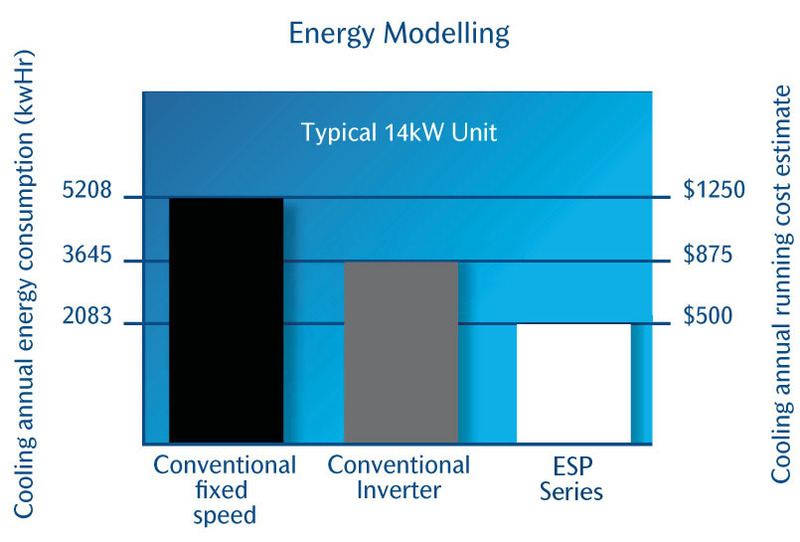 Testing and energy modelling have shown that the ESP Series can save up to 60 percent electricity compared to conventional fixed speed systems and up to 40 percent compared to conventional inverter systems on the market. 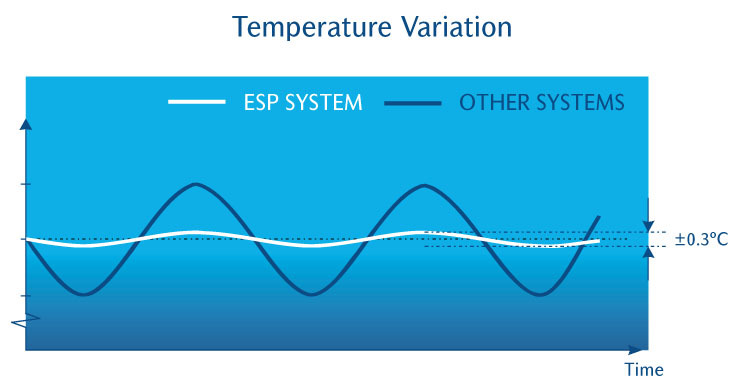 Energy Smart Performance™ (ESP) Technology delivers just the right amount of heating and cooling to better match your comfort requirements whilst minimising power usage. 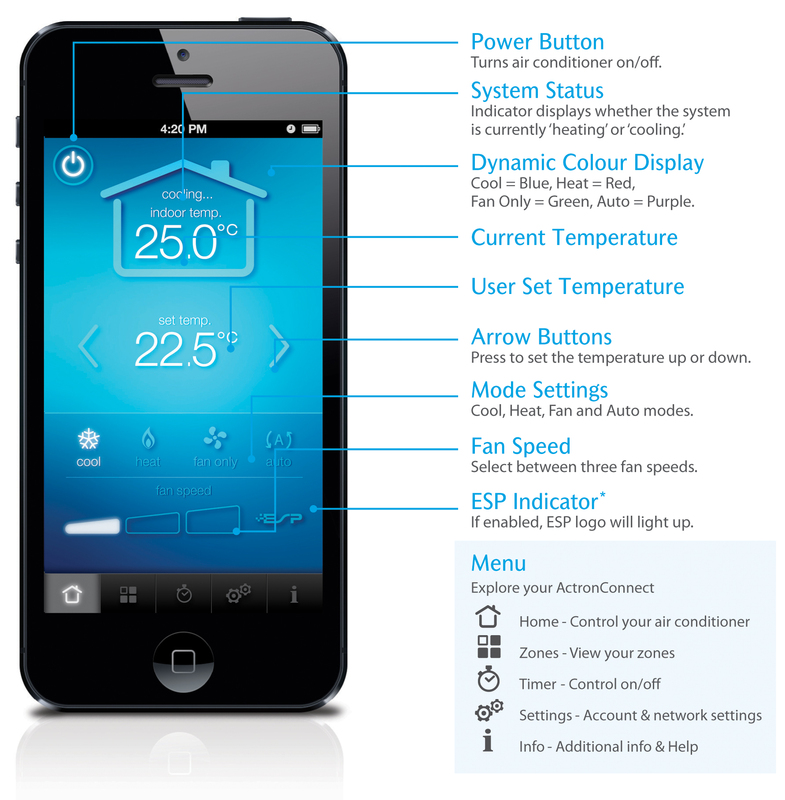 Compatible with home automation for remote on/off control. Optional secondary controller with mimic logic.